Call Kim Jong Un a killer, and he'll kidnap your people. Governments often expel foreigners who enrage them. North Korea offers a worse fate: not being allowed to leave. On March 7th authorities in Pyongyang, the capital, said that 11 Malaysian citizens living in North Korea would be prevented from flying home until the two countries had resolved their differences over the murder of Kim Jong Nam—the half-brother of Kim Jong Un, the North's dictator. Kim Jong Nam was assassinated last month at Kuala Lumpur's main airport using VX, a nerve agent renounced by nearly all governments except North Korea's. The North later released two of the hostages, but continued to hold the other nine. Najib Razak, Malaysia's prime minister, condemned North Korea's decision to detain its citizens as “abhorrent”. He announced that North Koreans in Malaysia—of whom there are perhaps as many as 1,000, many doing dirty jobs such as mining—would in turn be prevented from leaving until the regime backed down. Malaysian authorities are watching who enters and leaves North Korea's embassy in Kuala Lumpur. 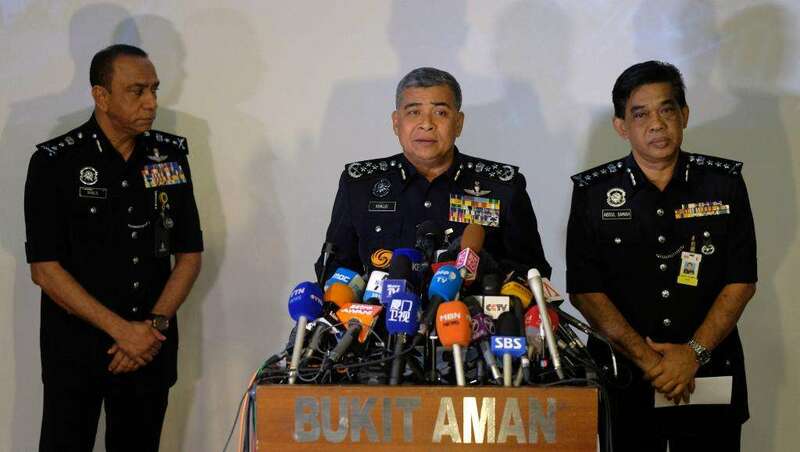 The chief of police believes that at least two North Koreans wanted for questioning about Kim Jong Nam's murder are hiding inside; he has said that his men will stand guard for “five years” if it takes that long for them to come out. 例句:The shells contained an experimental chemical weapon, a nerve agent. 例句:The truth is beginning to come out about what happened. 例句:The girls took it in turn to wipe down the tables after meals.